Here at Organic Air duct Cleaners we understand the importance of breathing in clean air. We started this company because my kids constantly had pollution induced asthma attacks. This inspired me to search for every solution to help make sure my home’s air was cleaner. I searched until me and my team finally came up with the perfect, organic air duct cleaning solution to the problem of indoor air pollution. I can safely say that every home we treat is better, and healthier in the long run, including my own. Let our team help your health by providing you with exceptional Organic Air Duct Cleaning services in Dallas. Our team takes pride in their work, they are reliable, and voted to be the friendliest Air Duct Cleaning team in the industry. 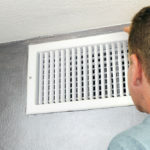 Call Organic Air Duct Cleaning today and find out why so much of Dallas has already used our services. Our main goal at Organic Air Duct Cleaners is to provide services which help our local Dallas community thrive. That is why we provide our services at affordable prices, while still being able to provide our workers with an income that lets them support themselves and their families. Our services do not only go a long way in making sure that your home’s indoor air pollution problem is fixed, they also help reduce your heating and cooling bills. This is because air ducts are known to operate less efficiently when they are dirty. The reason for this is because instead of all of the energy going to cooling or heating your home, some of it gets dissipated in the dirt and debris within the air ducts.